The temperature raised ever so slowly today . . . to thirty degrees. Then it stopped. That was all the heat we were going to enjoy. I could have whined about it, stamped my feet, and shouted, "It just isn't fair!" Or, I could do something about it. 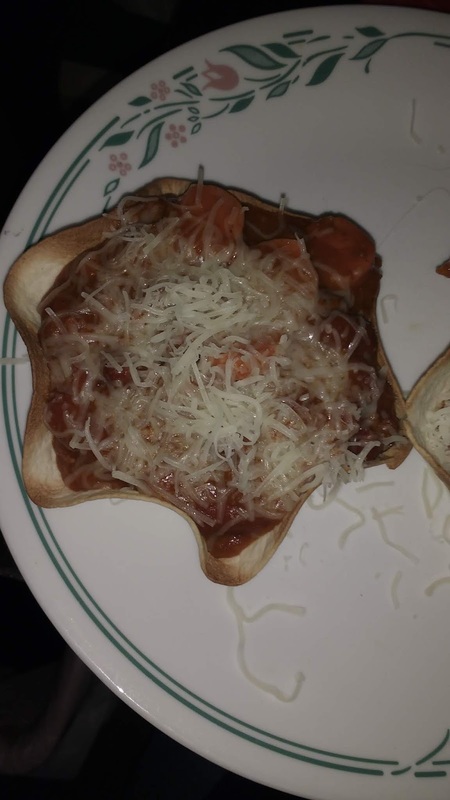 I decided to make chili dog bowls for supper. What are they? Remember those tortilla pans I talked about in another post? They're great to have on hand and, for me, are one of those products I am really glad I purchased. Tonight, chili dogs sounded good, but I didn't want a lot of bread. I had some taco-size Old El Paso Super Soft tortillas in the crisper drawer, so it was time to put them to good use. The smaller tortillas were just the right size for this recipe, although you can bake the 10" burrito size tortillas as well. 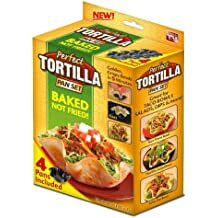 They're great for those taco salads you know you like. 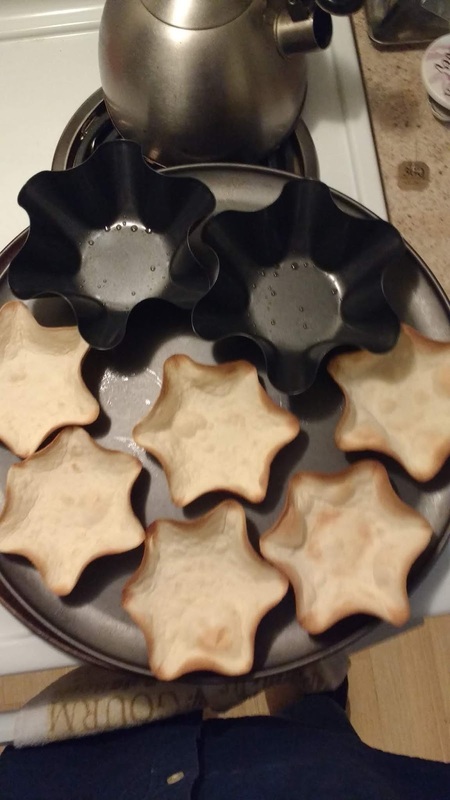 To make the tortilla bowls, I took the pans and sprayed them very lightly with some Crisco butter spray and then put a tortilla into each one. I placed them into a preheated 400-degree oven for 5 minutes and then put them on a plate to cool. I cooked up the entire package so I would have a few on hand tomorrow for lunch, for tuna boats. Once cooled, I stored the extra taco bowls in a Ziploc bag. 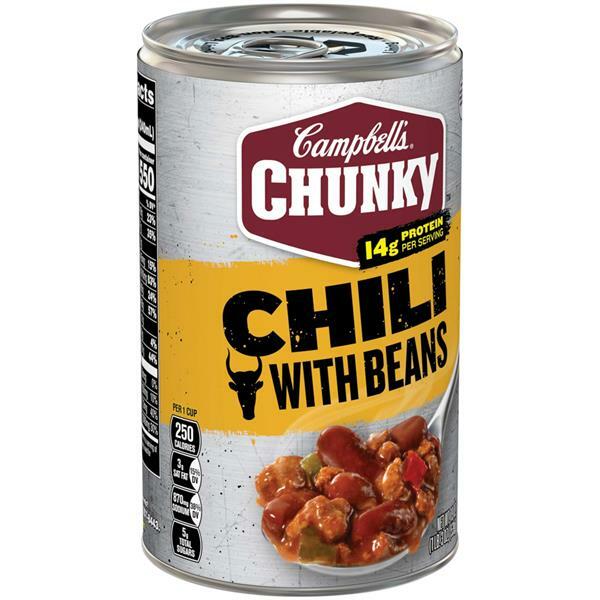 For the chili dogs, I grabbed a can of Campbell's Chili with Beans and popped the top, chopped up a couple of Oscar Mayer bun-length hot dogs, and mixed them together in a microwave-safe bowl and covered it. I then put it in the microwave and cooked it for about three minutes. Finally, I spooned the hot mixture into three of the mini taco bowls. I topped them with shredded cheese. I could have added diced onions and green peppers to the chili or as a topping, but I didn't this time. A dollop of sour cream, and you're all set. The mixture filled three of the small bowls, but would have filled one larger bowl, had I made those instead. An added benefit to this recipe is eating the tortilla bowl afterward. Yum. Give it a try. Note: I am not an affiliate of the products mentioned above, nor of the retailers. I just thought you might like to give this recipe a try, especially if it's really cold where you are. A nice warm meal is always a good thing. Be nice, share it with a friend.